'Avengers: Infinity War' -- Where and How Will the Soul Stone Show Up? ‘Avengers: Infinity War’ — Where and How Will the Soul Stone Show Up? Which leaves the orange Soul Stone still missing, with no overt hints from any of the movies about where it is. But we assume it will have to appear finally in “Infinity War” because there has to be a real threat that Thanos will manage to actually collect all the stones and achieve absolute power over time and space with this Infinity Gauntlet — and that threat can’t exist without the Soul Stone. A couple key notes before we get started. First, the the big thing about the Soul Stone is that it can collect souls and place them in a “soul world” inside itself — it basically creates a new dimension. Those who use the gem then have access to those souls and their abilities. These are probably important clues. Second, a key thing to remember about the Infinity Stones is that they weren’t usually introduced as Infinity Stones — they usually take some other form initially before their true nature is revealed. The Mind Stone, for example, was what powered Loki’s scepter, and the Aether was actually a liquid in “Thor: The Dark World.” So it’s very possible we’ve already seen the Soul Stone without realizing we saw it. Okay, on to the speculation. In Marvel lore, the character who is most closely identified with the Soul Stone — the Stones are actually referred to as Gems in the comics — is Adam Warlock, who has so far not appeared in the MCU. However, he was teased at the end of “Guardians of the Galaxy Vol. 2.” In one of that movie’s mid-credits scenes, Ayesha of the Sovereign (Elizabeth Debicki) explains that she has created a new being that will be the future of her race, and will name him Adam — that’s Adam Warlock. Also Read: 'Guardians of the Galaxy Vol. 2' Post-Credits Scene Explained: Who is Adam? Now, producer Kevin Feige has insisted that Adam Warlock isn’t on the MCU docket until “Guardians 3” in 2020 — which obviously puts him out of reach for either “Infinity War” or the fourth “Avengers” movie scheduled for 2019. We could take him at his word, or we can assume this is misdirection somehow. Perhaps the Soul Stone will survive these next two movies and make its way to Warlock in the future. But honestly, it’s hard to imagine how “Infinity War” could introduce Adam Warlock without having set him up at all before now and with no apparent plans to explore him further between this movie and “Avengers 4,” so it’s probably a safe guess that he’s not going to be involved with all this for now. The problem, though, is that once you eliminate Adam Warlock, you’re left trying to figure out what new way Feige and co. have come up with to introduce the Soul Stone, which is, you know, kinda hard. But we have at least one guess that we’re fairly confident in. My favorite theory, which I have held for a while now, is that the Soul Stone is in Wakanda, having crashed to Earth as part of the Vibranium meteor that landed in Africa thousands of year ago. This idea would make probably the most sense, because it would jive with the very real Wakandan afterlife concept. My belief is that the heart-shaped herb which gives the Black Panther his power is an outgrowth of the Soul Stone, and thus the Wakandan ancestral plane, where the souls of dead Black Panthers live, is inside the Soul Stone itself. While Wakanda seems the most likely possibility at the moment, there are a few other possibilities. Also Read: 'Black Panther': Did We See the Soul Stone in Wakanda? If it’s not in Wakanda, then it could be with the wild card that is Captain Marvel, who will be played by Brie Larson in the 2019 solo film. Like Black Panther, Captain Marvel is not known to have a connection to the stone in the comics, but it wouldn’t require a ton of hand-wringing to make it work. In the comics, Captain Marvel, aka Carol Danvers, was a regular human-made-super through comic book magic similar to what turned Bruce Banner into the Hulk. She got caught up in a battle between two Kree supermen, (they’re the blue-skinned aliens we first saw in “Guardians of the Galaxy”), and during that fight she basically fell into a wacky space machine that altered her genetic structure based on what she was thinking about at that moment. In the MCU, it would be extremely easy to just make the Soul Stone the thing that gives Captain Marvel her abilities. After all, one of its key characteristics is that it can grant users the power of the souls it has collected. If there are a bunch of Kree souls in the Soul Stone, the net effect would be more or less the same. Now it’s true that last year during Comic-Con, “Infinity War” co-director Joe Russo said straight up that “She’s not in Avengers 3.” Then again, the solo movie starring Brie Larson is currently filming, so it wouldn’t be impossible to shoot something while they’ve got Larson in her costume, and slip it in late in the production of “Infinity War,” either as a crucial moment in the film itself, or a mid-credit or end-credit scene. It wouldn’t even be the first time Marvel has done something like that. 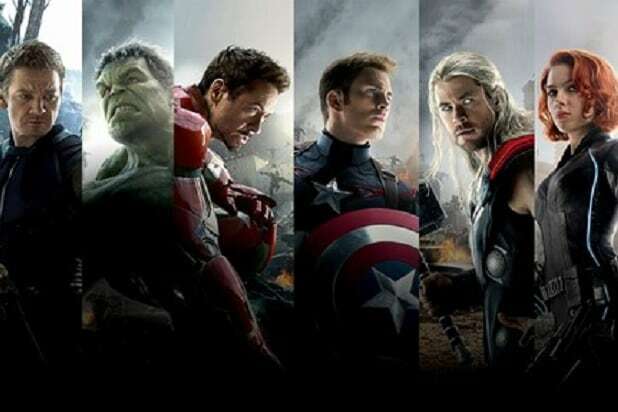 Most famously, the “Shawarma scene” featured at the end of the credits for “The Avengers” was filmed after the movie’s gala premiere, in the week before wide release. I don’t buy this one at all, but it’s worth noting just because it takes us way back to “Iron Man 2.” One of the key subplots in that movie involved Tony Stark being poisoned by the palladium power core in his chest — until SHIELD gave him some stuff from outer space that allowed him to create a new, previously undiscovered element that would power his suits indefinitely. This new element has not even been referenced since then, so it probably doesn’t matter anymore, but there has been some speculation over the years that this new element is, I guess, the reconstitution of an Infinity Stone — the Infinity Stones are ancient, so Tony would not have created it. Yes, Tony has certainly never demonstrated anything resembling the power of the Soul Stone. But some fuel was recently added to this fire when Marvel released a series of Infinity Stone-themed posters and Tony was squarely at the center of the Soul Stone. So the Soul Stone could be on Titan, or Titan itself could be the Soul Stone, or Captain Marvel may have it on Titan while frozen in ice for decades like Captain America was — remember, the “Captain Marvel” movie out next year takes place two decades in the past, so anything is possible. And that’s all we’ve got. Fortunately, it’s not long now until we get to find out for sure, because “Avengers: Infinity War” is out on April 27. 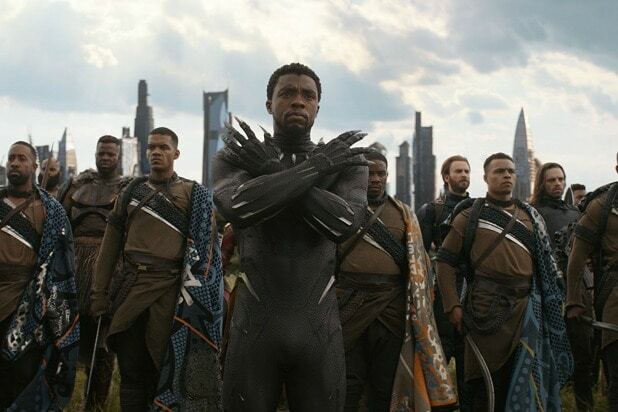 ‘Black Panther': Did We See the Soul Stone in Wakanda?